Across the street from the new Colby College residence hall, the restaurant will employ 50, seat 100 and serve up pizza, pasta, salad and sandwiches. 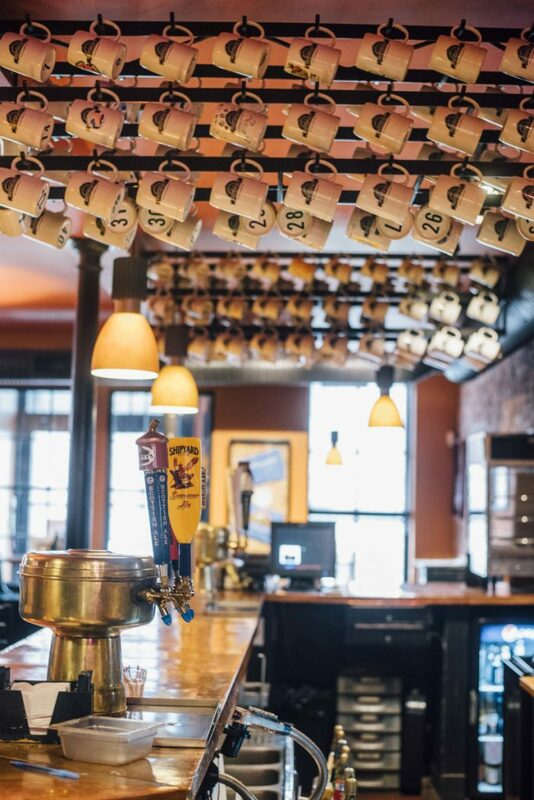 Portland Pie, which has restaurants in Portland, Biddeford, Westbrook, Scarborough, Brunswick and Manchester, New Hampshire, offers craft beer and gourmet pizza. The restaurant has plans to hire 50 part- and full-time employees, including wait staff, bartenders, kitchen staff and delivery drivers. Photo courtesy of Portland Pie Co.
WATERVILLE — An upscale restaurant focusing on specialty pizza, pasta, sandwiches and salads will move this spring into the south storefront of the former Hains Building at 173 Main St. downtown. Portland Pie Co., with locations in Portland, Biddeford, Westbrook, Scarborough, Brunswick and Manchester, New Hampshire, will offer lunch and dinner for dining in or delivery, have a full bar and kitchen and seat about 100 people, according to Patrick Mulligan, who, with Cole McElwain, will own and operate the eatery. 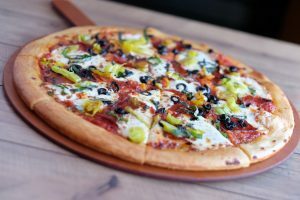 Portland Pie, which has restaurants in Portland, Biddeford, Westbrook, Scarborough, Brunswick and Manchester, New Hampshire, offers craft beer and gourmet pizza. The Waterville restaurant is expected to open in April or May. Photo courtesy of Portland Pie Co.
Mulligan said Friday that the Waterville restaurant’s layout will mirror that of the one in Brunswick. The restaurateurs plan to start retrofitting the inside of the 3,000-square-foot space Feb. 26 for the restaurant and hope to complete it for an opening in April or May. Work will include installing a floor,a drop-ceiling, partition walls, accent windows, an electrical network, plumbing and a new kitchen, Mulligan said. Portland Pie has a 10-year lease with Colby College, which owns the building, with two five-year renewable leases, according to Mulligan, a former partner in the Bag & Kettle restaurant at Sugarloaf. Mulligan and McElwain had been looking for a long while for the right opportunity, and a friend suggested to Mulligan that, since they drive through Waterville all the time, they spend some time there. Colby bought and renovated the former Hains Building, which has Colby offices on the second floor and which will house CGI Group, a technology firm, on upper floors. In that building, Portland Pie will be right across Main Street from the $25 million mixed-use residential complex Colby is building that will house about 200 students and faculty and staff members involved in a civic-engagement, community-service curriculum. The building is expected to be ready for occupancy in August. 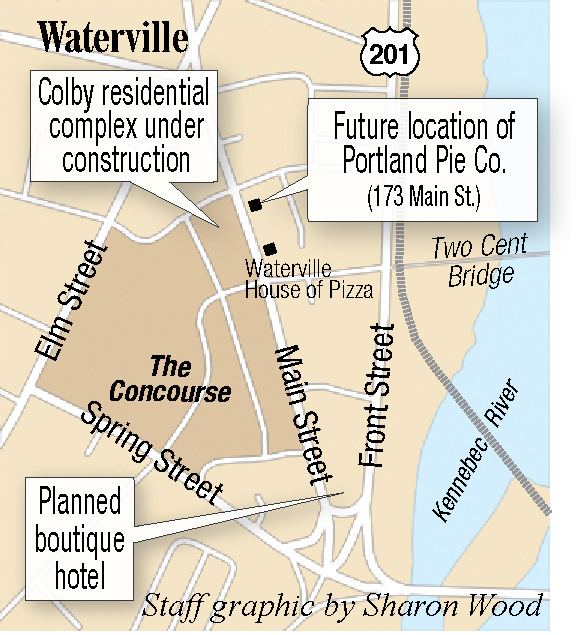 Brian Clark, Colby’s vice president for planning, said Colby officials are thrilled to welcome Portland Pie Co. to downtown Waterville. Mulligan said Portland Pie will employ about 50 people for full- and part-time positions including waiters and waitresses, bartenders, kitchen workers and delivery drivers. A Waterville resident is being trained in Scarborough for the kitchen manager’s job, he said, adding that he plans to remove the “For Lease” sign in the window of the space and replace it with a Portland Pie logo and a link to an email address where people may apply for jobs. Clark said the 50 jobs Portland Pie expects to create add to the hundreds of jobs already committed because of Colby’s investments. 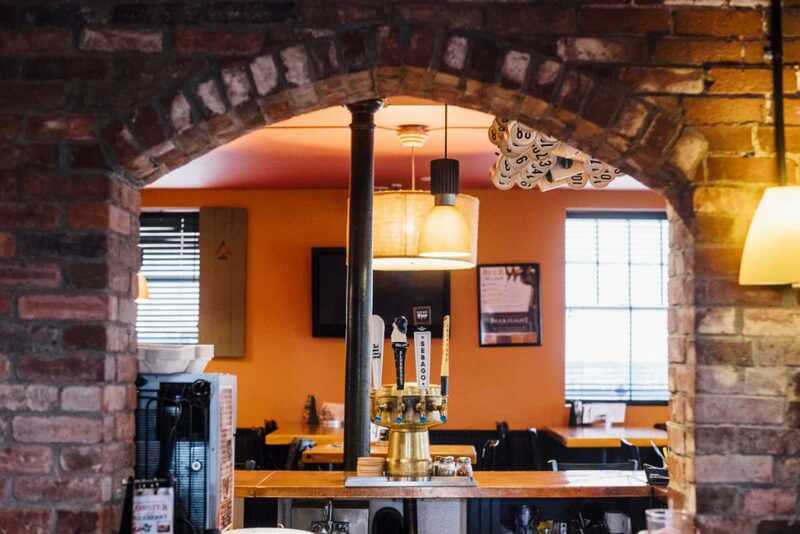 Portland Pie, which has restaurants in Portland, Biddeford, Westbrook, Scarborough, Brunswick and Manchester, New Hampshire, offers craft beer and gourmet pizza. Portland Pie features signature dough flavors: basil, wheat, garlic, beer and most recently, gluten-free. “Portland Pie will be a strong community partner and provide a new family-friendly dining experience on Main Street that will be popular with the entire community — including my three-and-a-half-year-old son, Owen, who is excited to split a pepperoni pizza with me when they open later this spring,” he said. Mulligan said the lease includes not only the southernmost space on the ground floor of 173 Main St., but also the rear part of the space on the northernmost storefront, where the kitchen will be located. He said restaurant hours have not yet been set, but they probably will be 11 a.m. to 11 p.m. That could change according to demand, he said. A news release from Special Pie, LLC, says Portland Pie was founded in 1997 in Portland, where it had a small shop. Garvan Donegan, senior economic development specialist for the Central Maine Growth Council, said Portland Pie and Mulligan’s investment in Waterville illustrates the upswing in economic enthusiasm on Main Street and the effect downtown revitalization is having on the local economy. 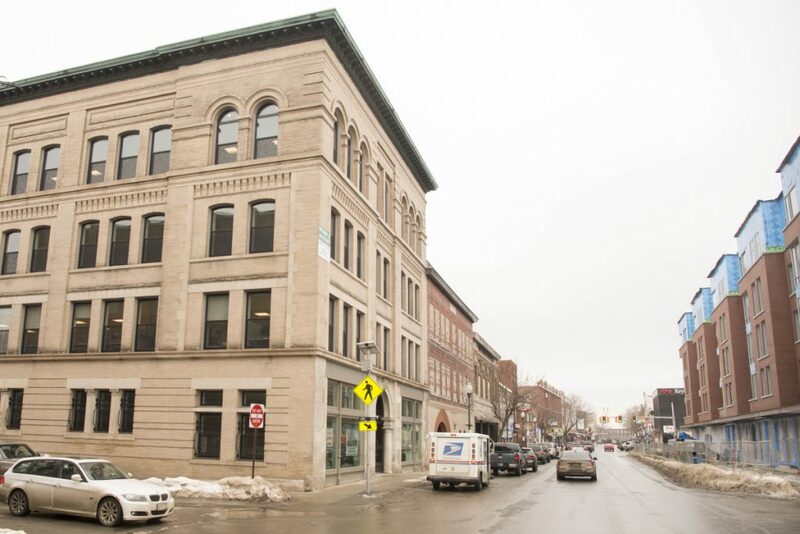 Paul Ureneck, director of commercial real estate for Elm City LLC, an affiliate of Colby College, said officials are in negotiations with another tenant for the northern storefront at 173 Main. The Colby residential complex at 150 Main St. also will have retail on the ground floor, though a tenant, or possibly more than one, has not yet been identified. A glassed-in community forum meeting space will be in the northeast corner of the building to be used by the college as well as by the city and nonprofit groups. Ayers Saint Gross, of Baltimore, Maryland, designed the building, and the construction manager for the project is Landry/French Construction Co., of Scarborough. Colby is investing millions of dollars in the downtown as part of revitalization efforts launched by both the city and Colby. The college plans to build a boutique hotel this year on the southeast end of Main Street in the former Levine’s clothing store space.